After yesterday's big ride I had a really good sleep. This morning when I got up I was still enjoying the views which are all around me. Before I went exploring I checked the bike over and noticed i had lost a bolt which holds my front rack in place. I always carry a few of these spare so that was an easy fix. I then noticed that one of the clips which hold my panniers in place was missing, so dug out the duct tape and fixed this as well. Besides those small problems TJ was all good. 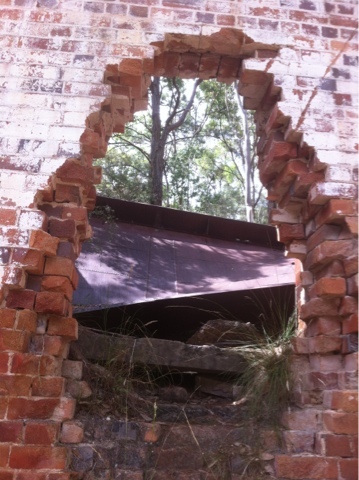 I then had a walk up to the old shale refinery ruins, which are about 2kms away. It was a pleasant walk there. When I got there I was impressed by the size of the operation. 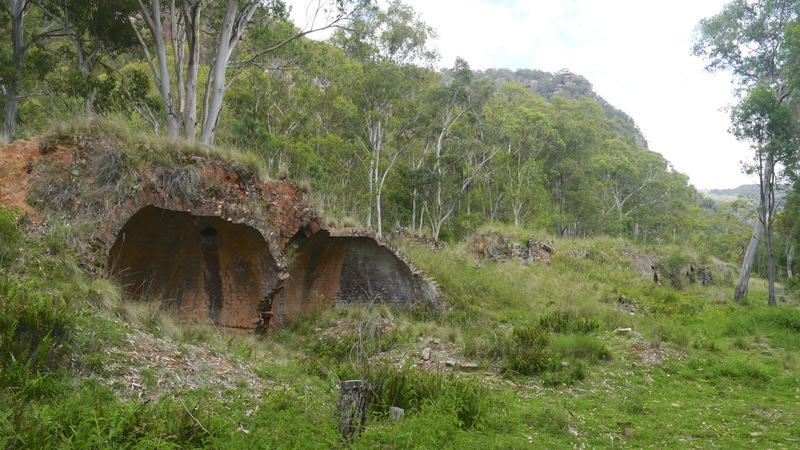 There were 90 coke ovens which were only used for approximately 5 years, remnants of 50m high chimneys and numerous buildings. It was interesting to think of all the effort it would had took to build the complex which was used for only a few years. 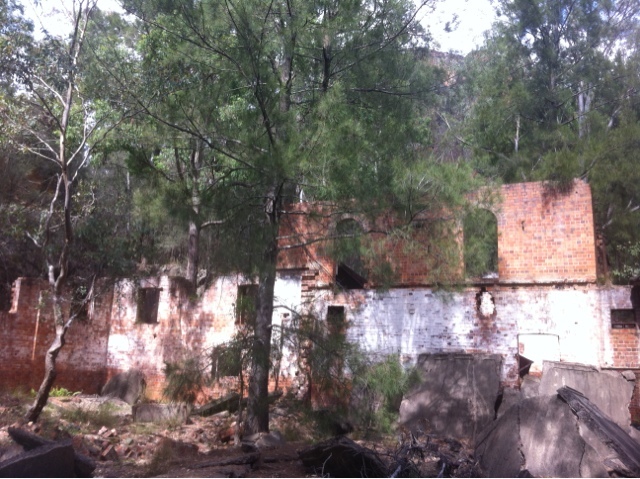 After I spent a good couple of hours looking around at the ruins I headed back to Newnes. I went to the old pub, which stopped serving its last beer in 1988. It is now a museum and has a small store which is open on weekends. 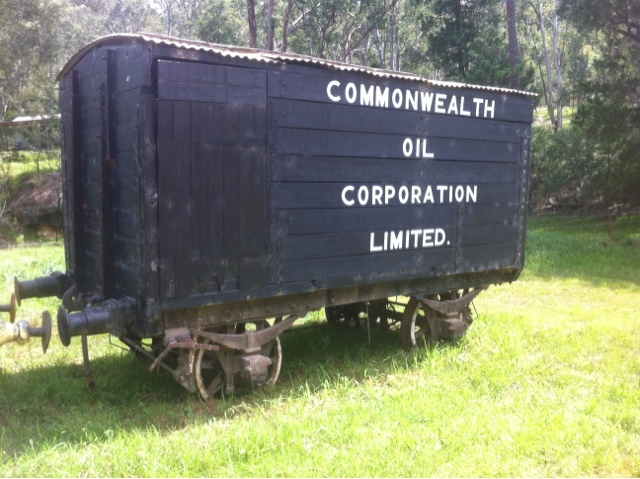 I had a look around the museum which was full of interesting stories and pictures of the local area. When I had finished looking at the museum I headed back to the campsite for lunch. Whilst I was walking back I noticed grader leveling the road, will be interesting to see if it is better to ride tomorrow. For the rest of the afternoon I relaxed at the campsite. 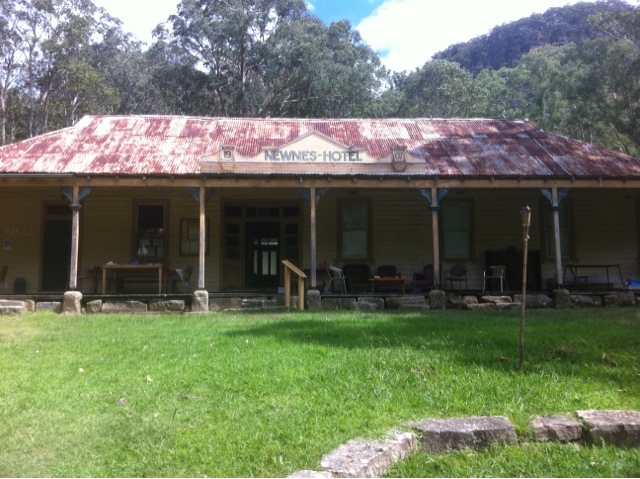 I have really enjoyed my time in Newnes. It was a bit of effort to get here, but I believe very much worth it. A place I will certainly like to visit again. Tomorrow I'm heading to Glen Davis via the Bicentennial National Trial (BNT), which means I get to stay on the dirt.